The exhibition will remain until June 8. Everyone wants to feel connected to something bigger than themselves. When it comes to millennial ennui, however, things get complicated. Living the very American dichotomy of privilege and trouble, more often than not we gravitate towards anti-heroes and villains to break us out of our daily grind. But at what point do the troublemakers of American pop culture start resembling it’s youth more than the heroes? Diary essays paired with familiar faces create a dream landscape mirroring the millennial adolescent psyche. 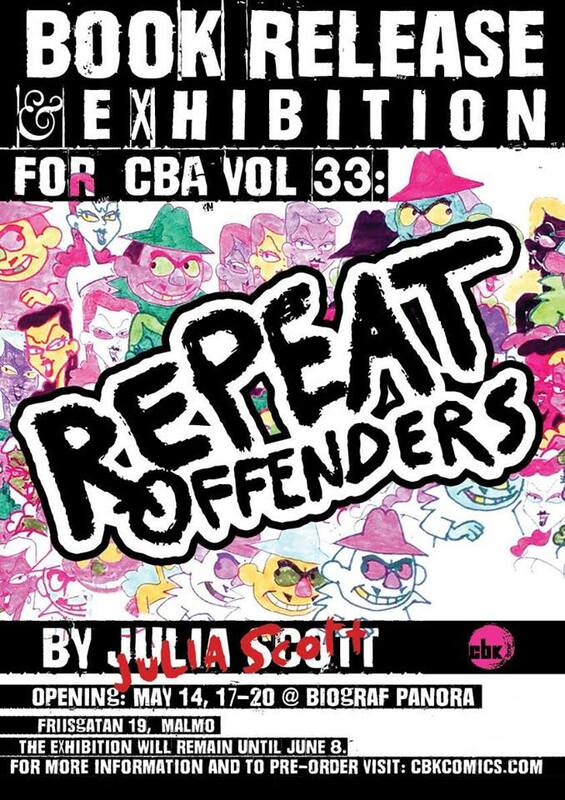 CBA vol 33:REPEAT OFFENDERS is Julia Scott’s solo debut about growing up weird, growing up other, and taking courage from the seemingly innocuous cartoon villains that populated the childhood of a generation. 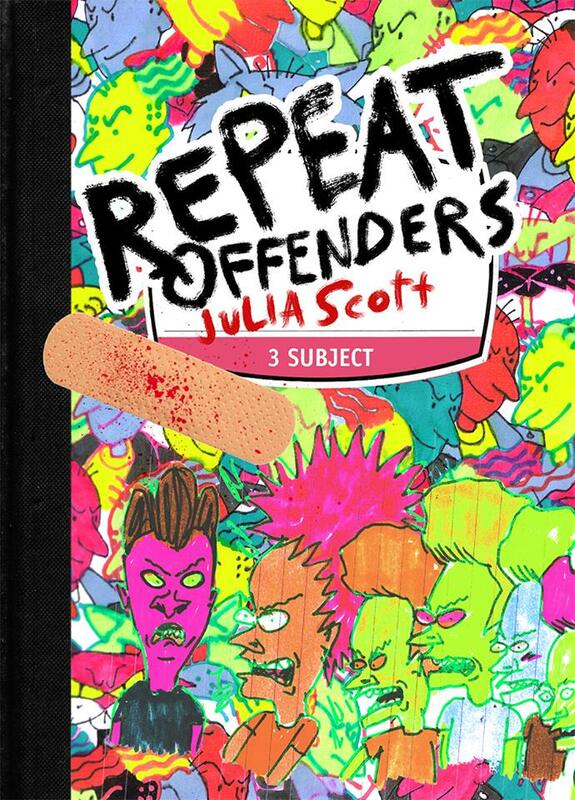 Julia Scott is an American working artist based out of the very raucous Baltimore, Maryland. Some of her clients include Warner Bros, Archaia Entertainment, and Lion Forge Comics. 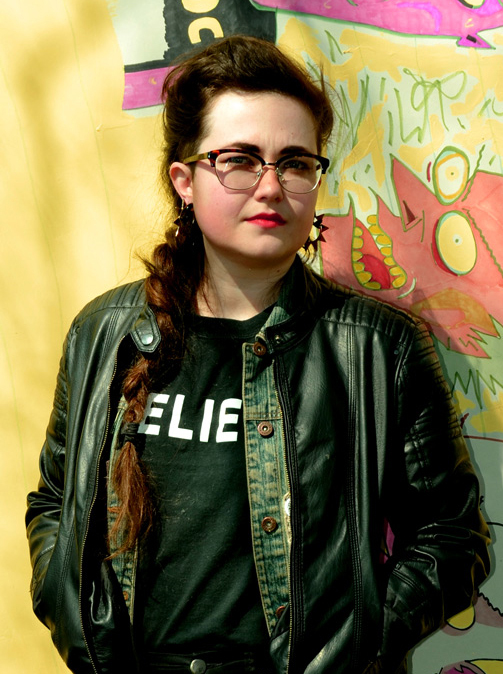 She draws the comic The Telepath Generation with writers Josh Tierney and Bobby Myers, and considers herself an animated pop culture connoisseur. The exhibition is supported by Malmö Kulturstöd. Next Next post: Special offer: Become a member now for half price!